The objectives of this study were to investigate antioxidant and enzyme inhibitory activity of ethanolic and aqueous extracts of seven leaves. The antioxidant activity of the leaves was determined by two different methods: DPPH and β-carotene- bleaching test (βC). The enzyme inhibitory activity was evaluated against α-glucosidase. Antioxidant (EC50) and α-glucosidase (IC50) activity were determined as 8.29-238.8 g of leaf/g of DPPH and 35.59-620.29 μg/mL respectively. Among seven leaves studied, leaf of grape (Vitis vinifera), quince (Cydonia oblonga) and nettle (Urtica dioica) exhibited higher antioxidant and α-glucosidase inhibition activity than the rest of the leaves. Total phenolic content (TPC), total flavonoid content (TFC) and total hydrolyzable tannin content (TTC) of the leaves were between 0.22-16.37 mg gallic acid equivalents (GAE), 0.07-9.32 mg catechin equivalents (CE) and 0.49-16.38 tannic acid equivalent (TAE) per g of leaf, respectively. Bu çalışmanın amacı seçilmiş yedi tane yenilebilir yaprağın etanolik ve sulu ekstrelerinin antioksidan ve enzim inhibitör aktivitelerinin belirlenmesidir. Yaprakların antioksidan kapasiteleri DPPH ve β-Karoten ağartma yöntemleri kullanılarak analiz edilmiştir. Enzim inhibitör aktivite analizinde ise yaprakların α-glukozidaz enzimini inhibe etme özelliği tespit edilmiştir. Yaprakların antioksidan (EC50) ve α-glukozidaz (IC50) aktiviteleri sırasıyla 8.29-238.8 g örnek/g DPPH ve 35.59-620.29 μg/mL arasında bulunmuştur. İncelenen yapraklar arasında, üzüm yaprağı (Vitis vinifera), ayva (Cydonia oblonga) yaprağı ve ısırgan otunun (Urtica dioica) diğer yapraklardan daha yüksek antioksidan ve a-glukosidaz inhibisyon aktivite gösterdiği belirlenmiştir. Yaprakların toplam fenolik madde miktarı (TPC), toplam flavonoid madde miktarı (TFC) ve toplam hidrolize edilebilir tanin miktarı (TTC) sırasıyla 0.22-16.37 mg gallik asit eşdeğeri (GAE), 0.07-9.32 mg kateşin eşdeğeri (CE) ve 0.49-16.38 tannik asit eşdeğeri (TAE)/g örnek arasında olduğu tespit edilmiştir. Bu çalışma, seçilmiş yedi tane yenilebilir yaprağın biyoaktif bileşenleri ile ilgili doğrudan karşılaştırmalı veriler sunmaktadır. Ani, V., Varadaraj, M.C., Naidu, K.A. (2006). Antioxidant and antibacterial activities of polyphenolic compounds from bitter cumin (Cuminum nigrum L.). European Food Research and Technology, 224(1): 109-115. Aslan, M., Orhan, N., Deliorman, O.D., Ergun, F. (2010). Hypoglycemic activity and antioxidant potencial of some medicinal plants traditionally used in Turkey for diabetes. Journal of Ethnopharmacology, 128: 384-389. Barreira, J.C., Ferreira, I.C., Oliveira, M.B.P., Pereira, J.A. (2008). Antioxidant activities of the extracts from chestnut flower, leaf, skins and fruit. Food Chemistry, 107(3): 1106-1113. Basma, A.A., Zakaria, Z., Latha, L.Y., Sasidharan, S. (2011). Antioxidant activity and phytochemical screening of the methanol extracts of Euphorbia hirta L. Asian Pacific Journal of Tropical Biomedicine, 4(5): 386-390. Braithwaite, M.C., Tyagi, C., Tomar, L.K., Kumar, P., Choonara, Y.E., Pillay, V. (2014). Nutraceutical-based therapeutics and formulation strategies augmenting their efficiency to complement modern medicine: An overview. Journal of Functional Foods, 6: 82-99. Ceriello, A. and Motz, E. (2004). Is oxidative stress the pathogenic mechanism underlying insulin resistance, diabetes, and cardiovascular disease? The common soil hypothesis revisited. Arteriosclerosis, Thrombosis, and Vascular Biology, 24(5): 816-823. Dehghan, H., Sarrafi, Y., Salehi, P. (2016). Antioxidant and antidiabetic activities of 11 herbal plants from Hyrcania region, Iran. Journal of Food and Drug Analysis, 24(1): 179-188. Devi, S. and Singh, R. (2017). Evaluation of antioxidant and anti-hypercholesterolemic potential of Vitis vinifera leaves. Journal of Advanced Nutrition and Human Metabolism, 6(3): 131-136. Ebrahimzadeh, M.A., Pourmorad, F., Bekhradnia, A.R. (2008). Iron chelating activity, phenol and flavonoid content of some medicinal plants from Iran. African Journal of Biotechnology, 7(18). Elfalleh. W., Hannachi, H., Tlili, N., Yahia, Y., Nasri, N., Ferchichi, A. (2012). Total phenolic contents and antioxidant activities of pomegranate peel, seed, leaf and flower. Journal of Medicinal Plants Research, 6(32): 4724-4730. Hassimotto, N.A., Genovese, M.S., Lajolo, F.M. (2005). Antioxidant activity of dietary fruits, vegetables, and commercial frozen fruit pulps. Journal of Agricultural and Food Chemistry, 53: 2928-2935. Hsouna, A.B., Saoudi, M., Trigui, M., Jamoussi, K., Boudawara, T., Jaoua, S., El Feki A. (2011). Characterization of bioactive compounds and ameliorative effects of Ceratonia siliqua leaf extract against CCl 4 induced hepatic oxidative damage and renal failure in rats. Food and Chemical Toxicology, 49(12): 3183-3191. Jain, A., Mohapatra, A.K., Yunus, G.Y,, Tiwari, R., Parakh, A., Verma, S. (2017). Estimating concentration of fluoride in edible leaves locally grown around Raipur, Chhattisgarh. Journal of Public Health Dentistry, 15(2): 177. Jang, H.D., Chang, K.S., Huang, Y.S., Hsu, C.L., Lee, S.H., Su, M.S. (2007). Principal phenolic phytochemicals and antioxidant activities of three Chinese medicinal plants. Food Chemistry, 103(3): 749-756. Ju, Y., Zhuo, J., Liu, B., Long, C. (2013). Eating from the wild: diversity of wild edible plants used by Tibetans in Shangri-la region, Yunnan, China. Journal of Ethnobiology and Ethnomedicine, 9(1): 28. Kim, J.Y., Chung, H.I., Jung, K.O., Wee, J.H., Kwon, O. (2013). Chemical profiles and hypoglycemic activities of mulberry leaf extracts vary with ethanol concentration. Food Science and Biotechnology, 22(5): 1-5. Kitabchi, A.E., Umpierrez, G.E., Miles, J.M., Fisher, J.N. (2009). Hyperglycemic crises in adult patients with diabetes. Diabetes Care, 32(7): 1335-1343. Klaus, A., Kozarski, M., Vunduk, J., Todorovic, N., Jakovljevic, D., Zizak, Z., Van Griensven, L.J. (2015). Biological potential of extracts of the wild edible Basidiomycete mushroom Grifola frondosa. Food Research International, 2015; 67: 272-283. Kubola, J. and Siriamornpun, S. (2008). Phenolic contents and antioxidant activities of bitter gourd (Momordica charantia L.) leaf, stem and fruit fraction extracts in vitro. Food Chemistry, 110(4): 881-890. Kumar, S., Narwal, S., Kumar, V., Prakash, O. (2011). A-glucosidase inhibitors from plants: A natural approach to treat diabetes. Pharmacognosy Reviews, 5(9):19. Lee, S.Y., Mediani, A., Nur Ashikin, A.H., Azliana, A.B.S., Abas, F. (2014). Antioxidant and α-glucosidase inhibitory activities of the leaf and stem of selected traditional medicinal plants. 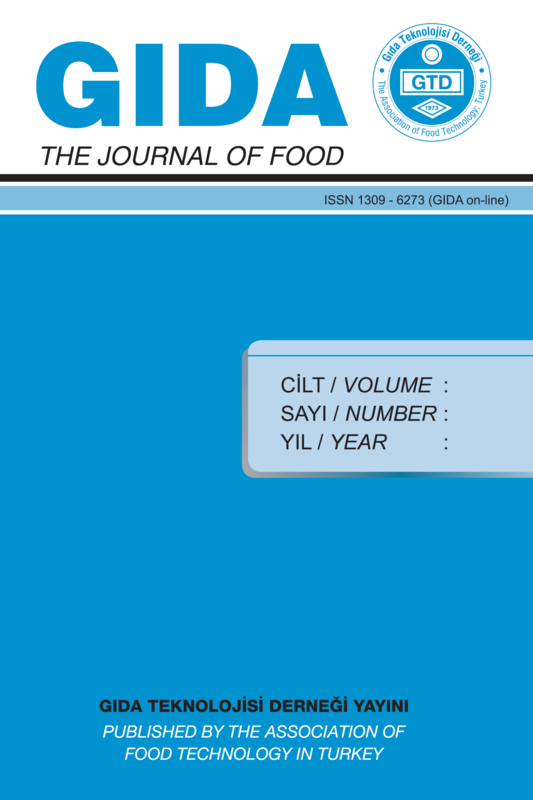 International Food Research Journal, 21(1). Leontowicz, M., Gorinstein, S., Leontowicz, H., Krzeminski, R., Lojek, A., Katrich, E., Trakhtenberg, S. (2003). Apple and pear peel and pulp and their influence on plasma lipids and antioxidant potentials in rats fed cholesterol-containing diets. Journal of Agricultural and Food Chemistry, 51(19): 5780-5785. Lima, A., Bento, A., Baraldi, I., Malheiro, R. (2016). Selection of grapevine leaf varieties for culinary process based on phytochemical composition and antioxidant properties. Food Chemistry, 212: 291-295. Ma, Y.Y., Zhao, D.G., Zhou, A.Y., Zhang, Y., Du, Z., Zhang, K. (2015). A-Glucosidase inhibition and antihyperglycemic activity of phenolics from the flowers of Edgeworthia gardneri Journal of Agricultural and Food Chemistry, 63: 8162–8169. Madamba, P.S. (1997). Optimization of the drying process: An application to the drying of garlic. Drying Technology, 5(1): 117-136. Mcdougall, G.J., Shpiro, F., Dobson, P., Smith, P., Blake, A., Stewart, D. (2005). Different polyphenolic components of soft fruits inhibit alpha-amylase and alpha-glucosidase. Journal of Agricultural and Food Chemistry, 53(7): 2760-2766. Meziti, A., Meziti, H., Boudiaf, K., Mustapha, B., Bouriche, H. (2012). Polyphenolic profile and antioxidant activities of Nigella sativa seed extracts in vitro and in vivo. World Academy of Science, Engineering and Technology, 64(6): 24-32. Noh, H. and Ha, H. (2011). Reactive oxygen species and oxidative stress. In Diabetes and the Kidney. Karger Publishers. 170: pp. 102-112. Reddy, N.V.L.S., Anarthe ,S.J., Raghavendra, N.M. (2010). In vitro antioxidant and antidiabetic activity of Asystasia gangetica (Chinese Violet) Linn. (Acanthaceae). Journal of Innovations in Pharmaceutical and Biological Sciences, 1(2): 72-75. Sendogdu, N., Aslan, M., Orhan, D.D., Ergun, F., Yesilada, E. (2006). Antidiabetic and antioxidant effects of Vitis vinifera L. leaves in streptozotocin-diabetic rats. Journal of Pharmaceutical Sciences and Pharmacology, 3(1): 7-18. Singh, R.P., Murthy, K.N.C., Jayaprakasha, G.K. (2002). Studies on the antioxidant activity of pomegranate (Punica granatum) peel and seed extracts using in vitro models. Journal of Agricultural and Food Chemistry, 50: 81-86. Singleton, V.L. and Rossi, J.A. (1965). Colorimetry of total phenolics with phosphomolybdic-phosphotungstic acid reagents. American Journal of Enology and Viticulture, 16(3): 144-158. Turkoglu, A., Duru, M.E., Mercan, N. (2007). Antioxidant and antimicrobial activity of Russula delica Fr: An Edidle wild mushroom. EURASIP Journal on Bioinformatics and Systems Biology, 2(1): 54-67. Uysal, S., Zengin, G., Aktumsek, A., Karatas, S. (2016). Chemical and biological approaches on nine fruit tree leaves collected from the Mediterranean region of Turkey. Journal of Functional Foods, 22: 518-532. Vyas, M. (2017). Nutritional profile of spinach and its antioxidant & antidiabetic evaluation. International Journal of Clinical Pharmacy, 11(03). Wangensteen, H., Samuelsen, A.B., Malterud, K.E. (2004). Antioxidant activity in extracts from coriander. Food Chemistry, 88(2): 293-297. Willis, R.B. and Allen, P.R. (1998). Improved method for measuring hydrolysable tannins using potassium iodate. Analyst, 123: 435-439. Yanishlieva, N.V., Marinova, E., Pokorný, J. (2006). Natural antioxidants from herbs and spices. European Journal of Lipid Science and Technology, 108(9): 776-793. Zhang, Y., Li, X., Wang, Z. (2010). Antioxidant activities of leaf extract of Salvia miltiorrhiza Bunge and related phenolic constituents. Food and Chemical Toxicology, 48(10): 2656-2662. Zhishen, J., Mengcheng, T., Jianming, W. (1999). The determination of flavonoid contents in mulberry and their scavenging effects on superoxide radicals. Food Chemistry, 64(4): 555-559.